- Was the Hippy / Anti-War movement, and the entire Laurel Canyon music scene, manufactured? If so, for what purpose? - What do Jim Morrison, ... See More The Mamas & the Papas, America, Frank Zappa, Crosby Stills and Nash, The Byrds, James Taylor, Charles Manson, the Wonderland Murders, UFOs, MK Ultra and a secret government facility all have in common? - Who were The Young Turks? - Listen for outtakes after the show! - Set your proton packs to DONATE! 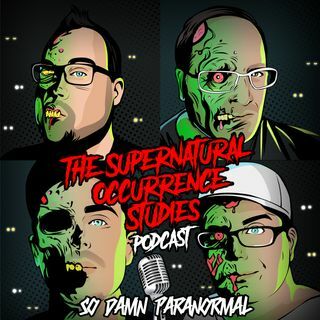 If you love what you hear on The Supernatural Occurrence Studies Podcast, visit www.ChicagoGhostPodcast.com and select SPECIAL OFFERS and donate to the cause!